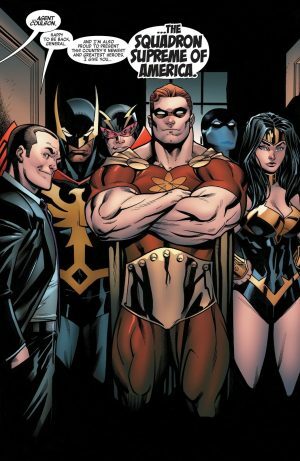 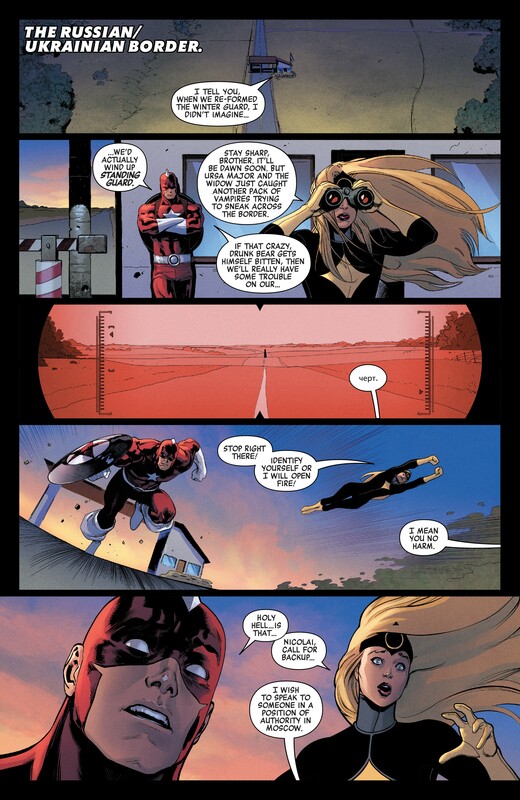 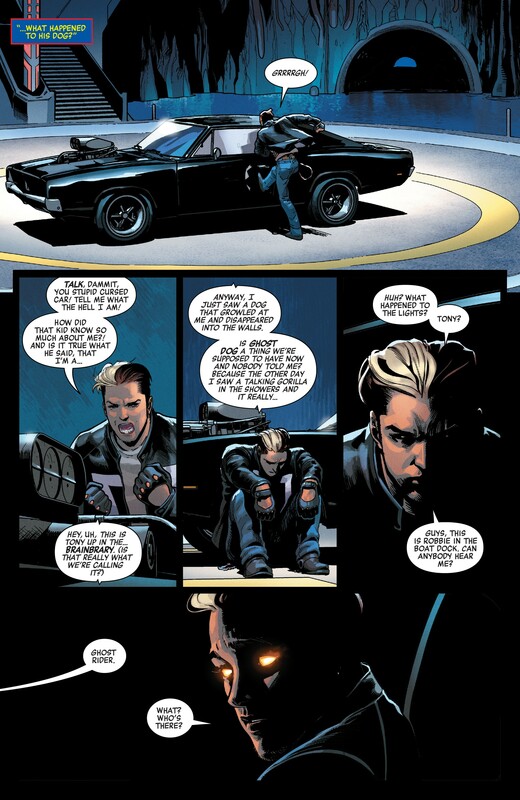 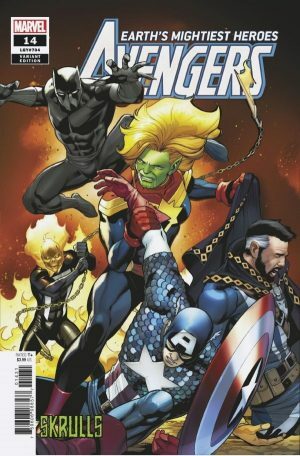 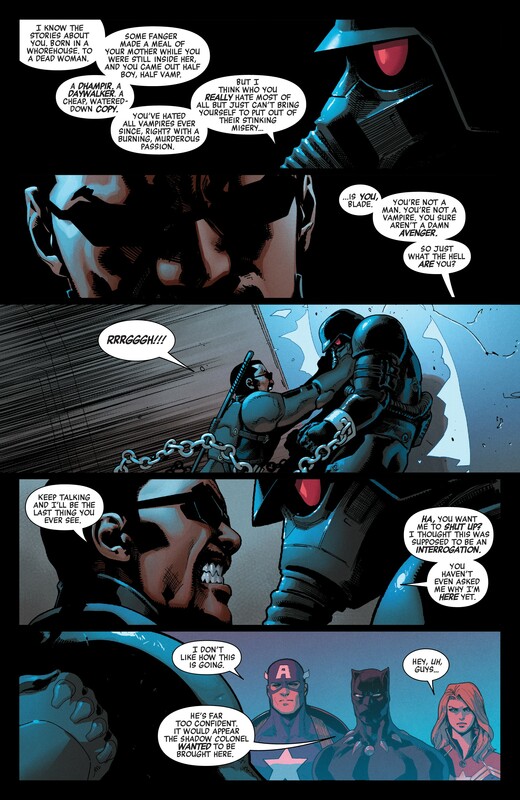 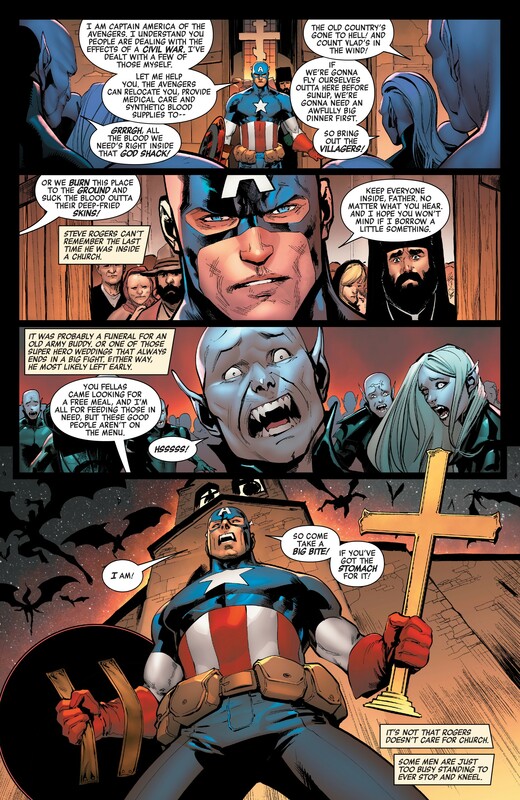 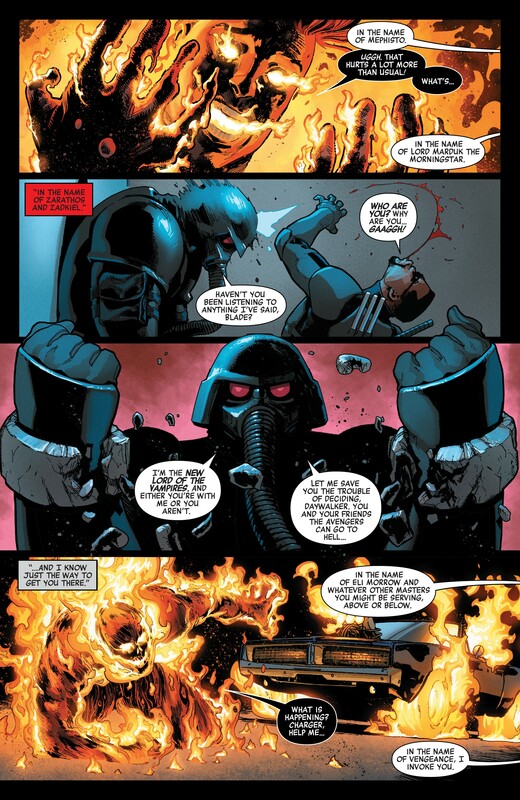 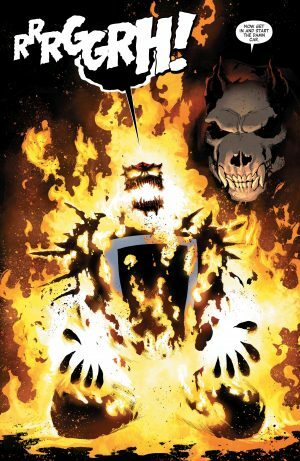 Marvel Comics Universe and Avengers #14 Spoilers follows. 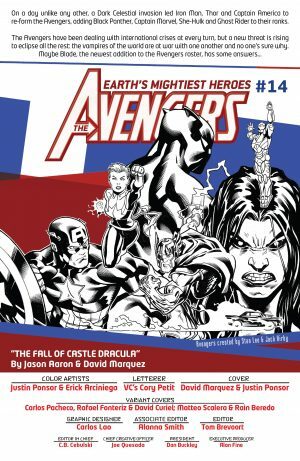 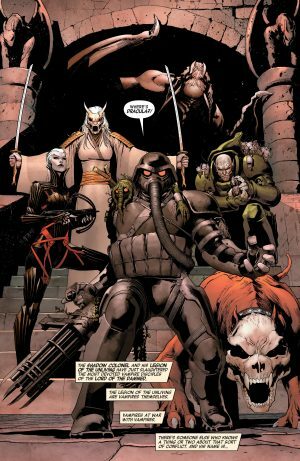 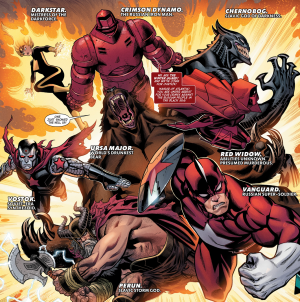 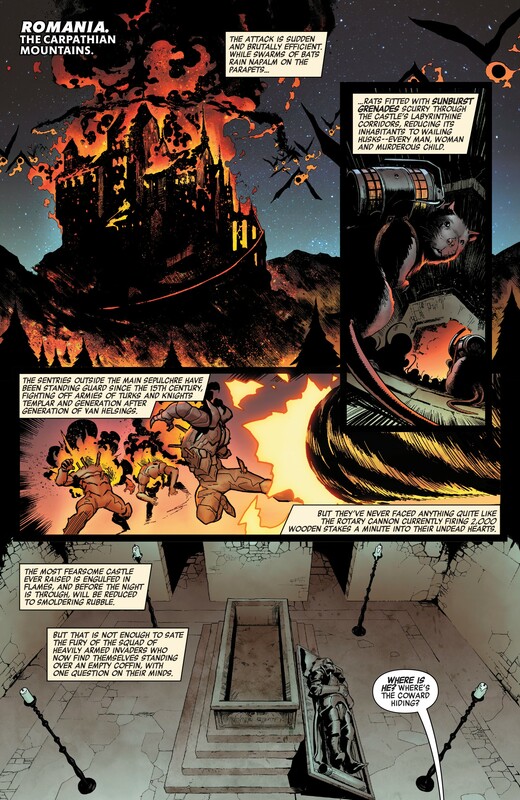 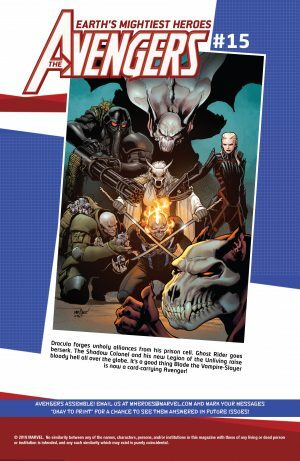 Civil War Of The Vampires Engulfs The Avengers and The Winter Guard With A HUGE Development As War Of The Realm Looms! The book opens with a storyline catch-up and creator credits page. …we meet the Shadow Colonel and his Legion of the Unliving! They after Dracula, who has escaped, and a vampire civil war ensues. 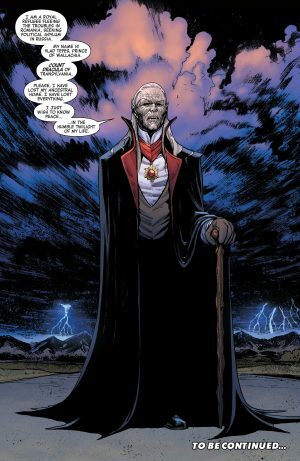 …that Romania’s Dracula is seeking sanctuary in Russia! 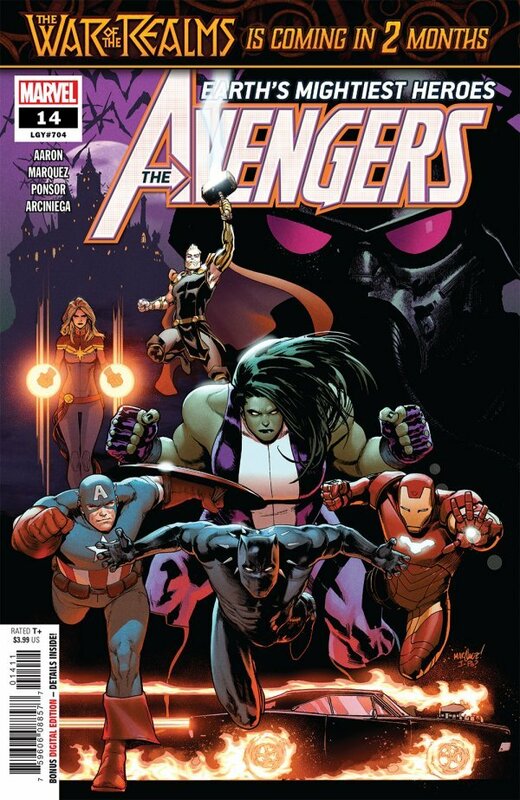 Next up is Avengers #15 out on February 20, 2019 in two weeks. 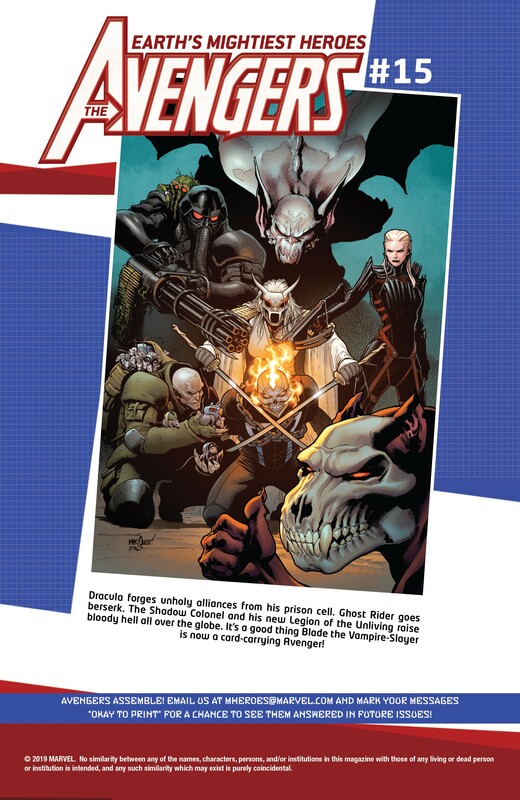 For those curious, here is what I believe is the latest incarnation of the Winter Guard.